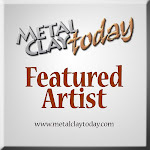 I have been honored to be featured with Lora Hart in the Metal Clay Academy's Newsletter this month. I was interviewed by Emma Gordon and it was a pleasured ! 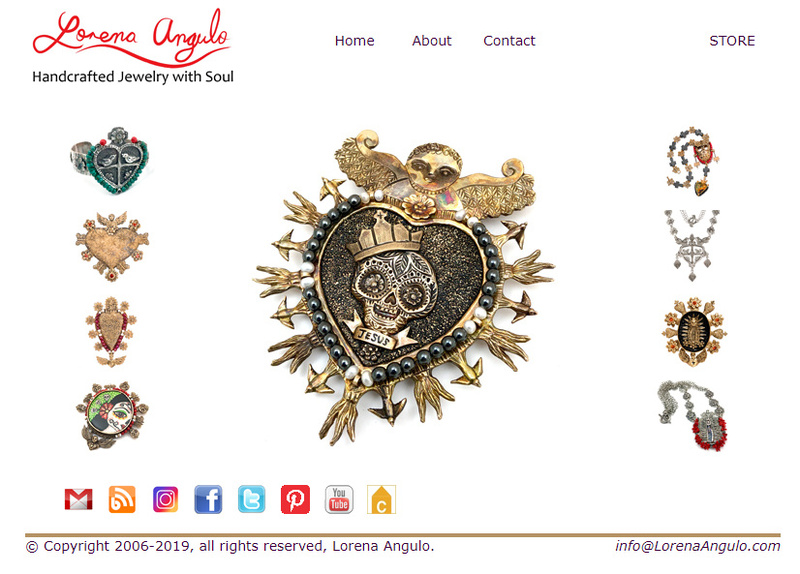 I think for most people in the Metal Clay community, Lorena Angulo needs no introduction; her style is distinctive and instantly recognisable. Lorena is based in the U.S. but originally comes from Mexico which she tells us is her biggest inspiration and no wonder given that it is such a vibrant country with a wealth of culture and traditions. She is a metal clay artist who works primarily with fine silver and bronze and copper clay. She has joined the Southwest School of Art where she takes the occasional class to perfect her skills in metal smithing but is more known for teaching Metal Clay there. The piece which Lorena has chosen for this article is her 'Arbol de Vida' or Tree of Life which has to be one of her most iconic pieces. She says that this was one of the first pieces she ever made with metal clay, creating it initially in silver but admits that she was not totally happy with the piece until she remade it in bronze clay. Since then, she has gone on to create it in copper, bronze and silver enjoying the different looks that each type of clay can bring to the piece. The silver pieces are typically 'antiqued' with Liver of Sulphur but the copper and bronze pieces are left without patina since these clays have a warmth after firing that needs no enhancement. Although Lorena now lives in the United States, Mexico quite clearly continues to be an everyday influence and inspiration. She says that it became so apparent, just how important her heritage was to her when she moved away from her homeland to live in the US. In fact, she states, most of her designs are inspired by her country; its folk art and traditions. However, she does look to other cultures and folk art for inspiration too telling us that she often goes to museums and immerses herself in great pieces, which she claims can be found anywhere and everywhere. She also loves using the internet to explore other places which she might never be able to go and says that she is inspired by 'mythical cities and cultures from around the world'. Her pieces are her interpretation of these things that she admires and respects. and for teaching and taking his class was a wonderful experience. It is quite clear to see when communicating with Lorena that her art has enormous significance in her life but it seems that how you approach it, that is with love and passion, is equally as important as creating something beautiful. Perhaps that's why her work is so unique and special. Thank You Emma and Metal Clay Academy for this great article ! All great artits have passion in their art! So, does you!! Many kisses.